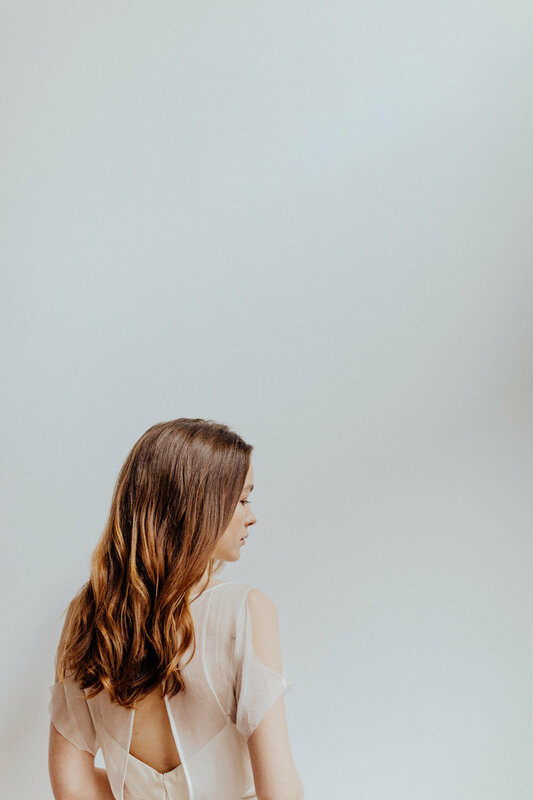 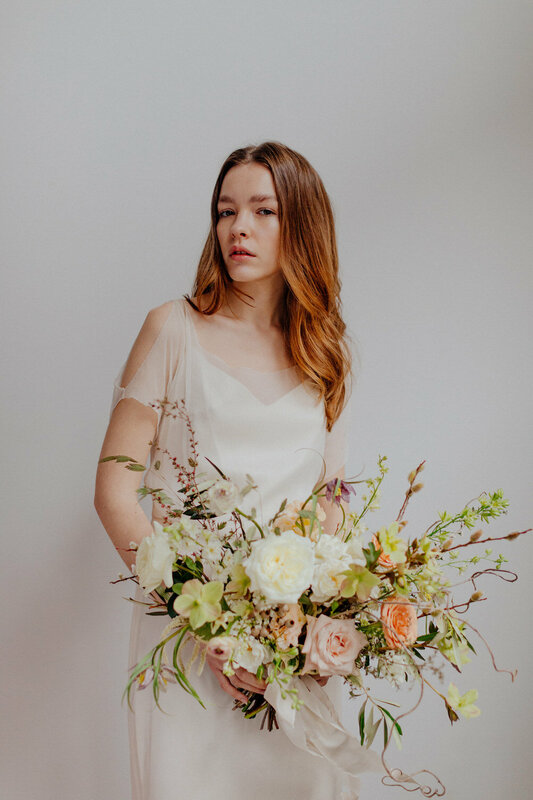 Welcoming, sensual, minimal, organic, and artisanal are the words Alexandra McNamara found inspiration in for this modern, blush editorial. 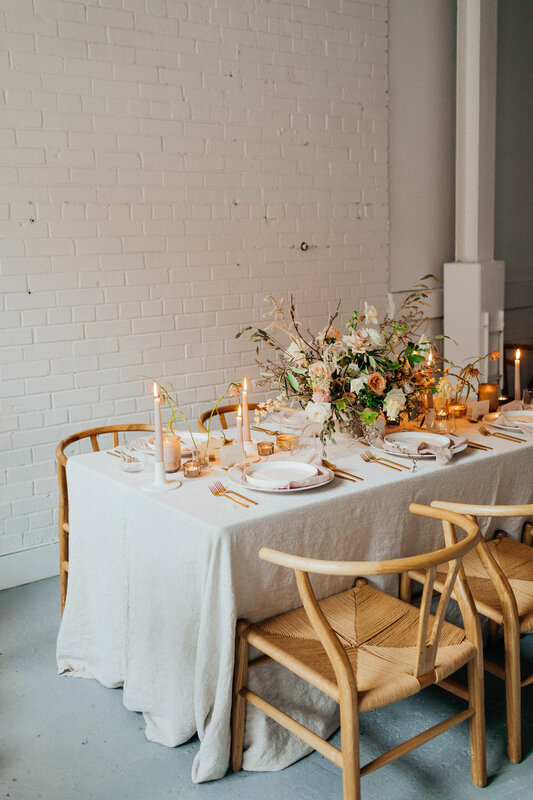 Sourcing maker quality items from the likes of Notary Ceramics, Leanne Marshall and Silk and Willow was key to the overall mood. 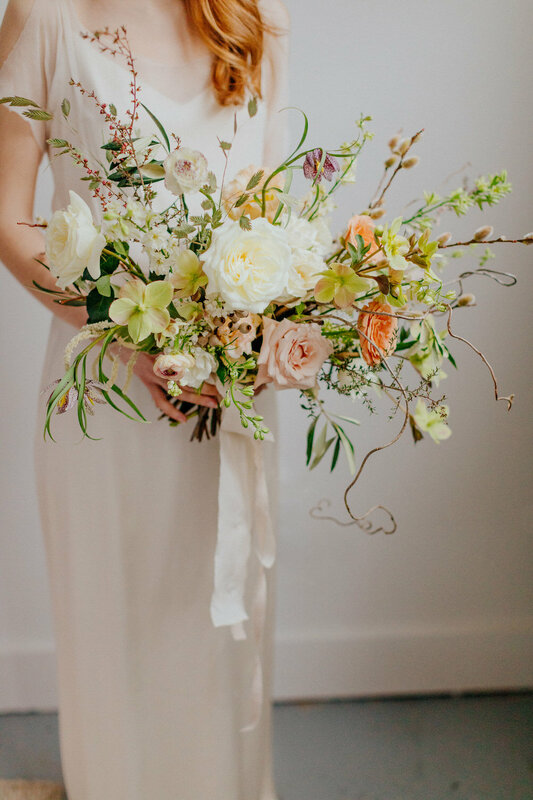 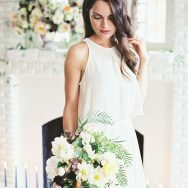 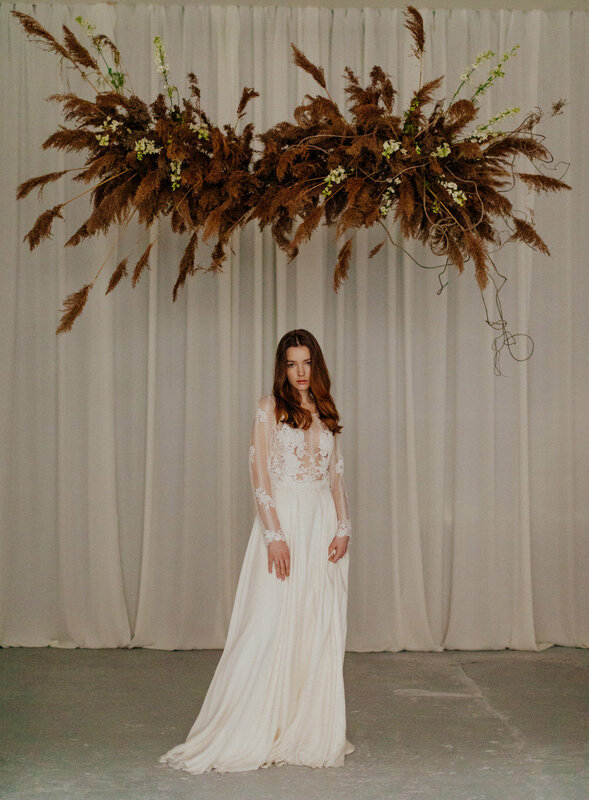 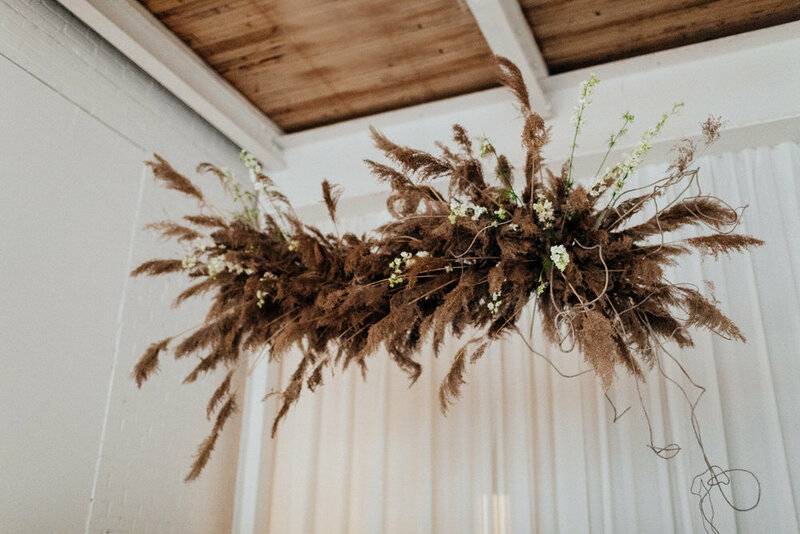 Hunt and Gather created florals with a unique mix of warm and neutral tones and foraged foliage, in line with the organic and natural story of the shoot. 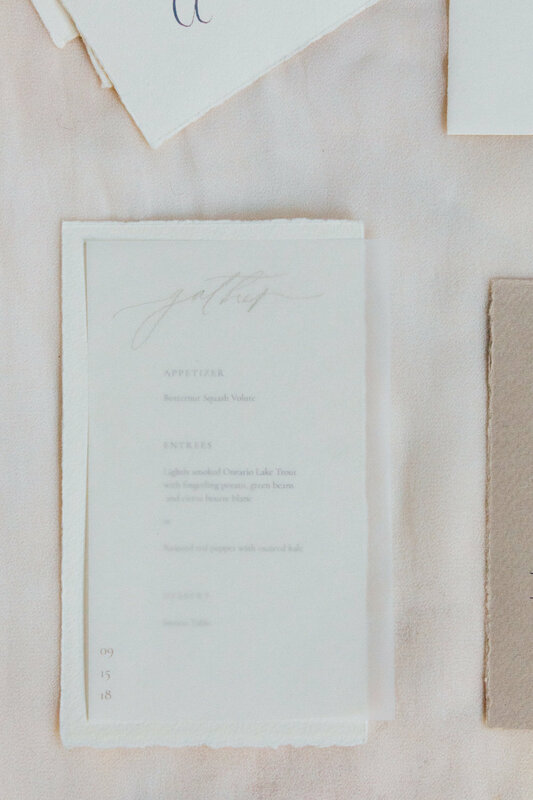 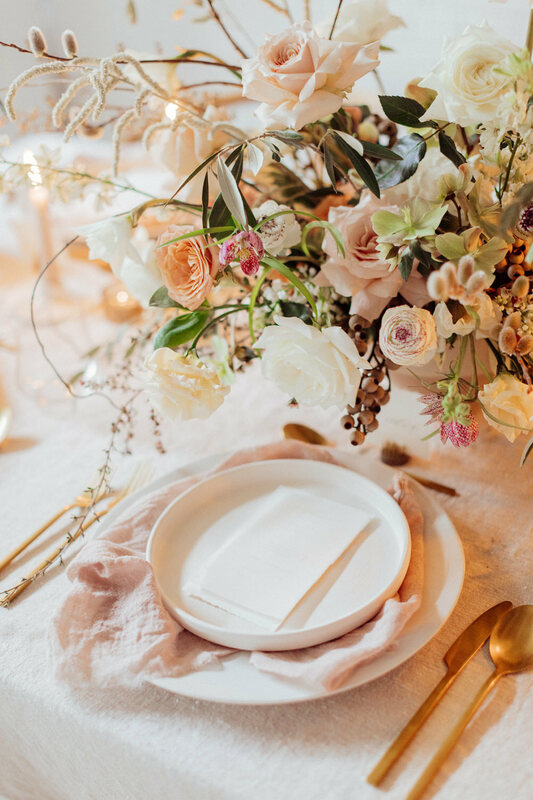 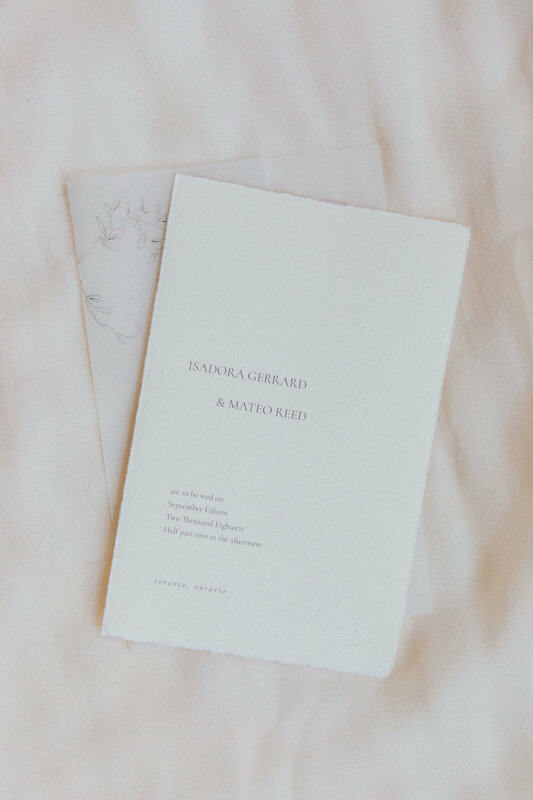 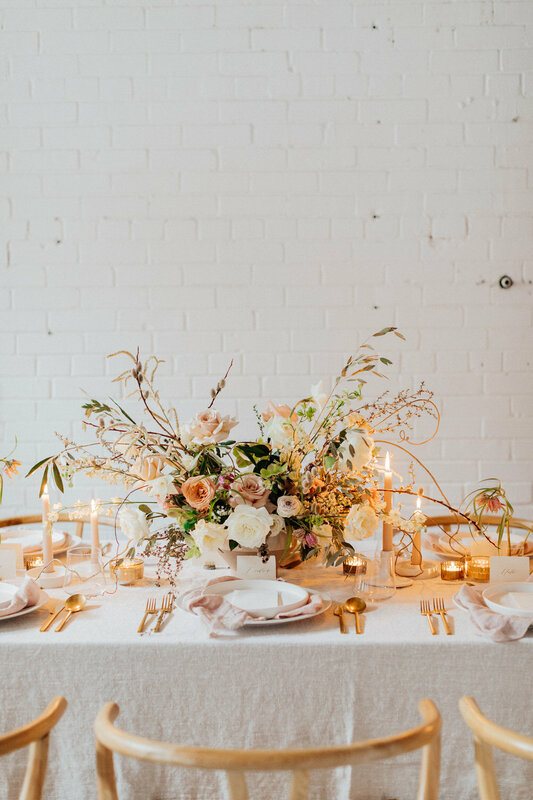 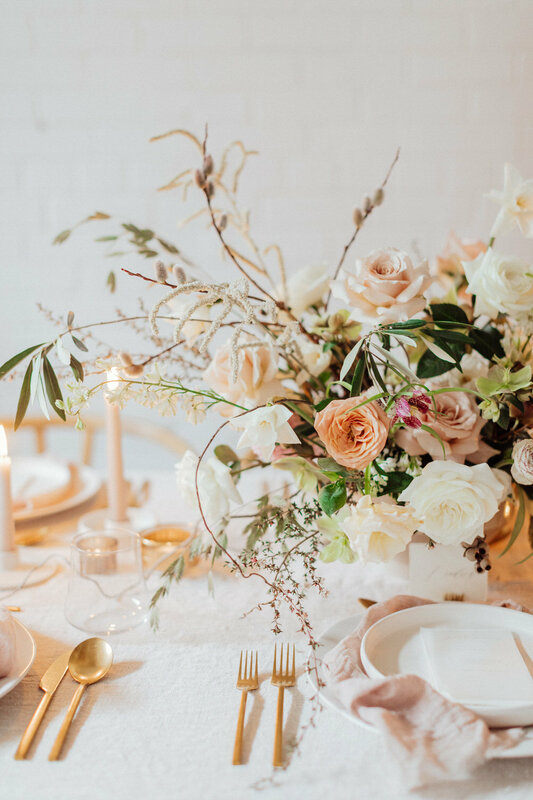 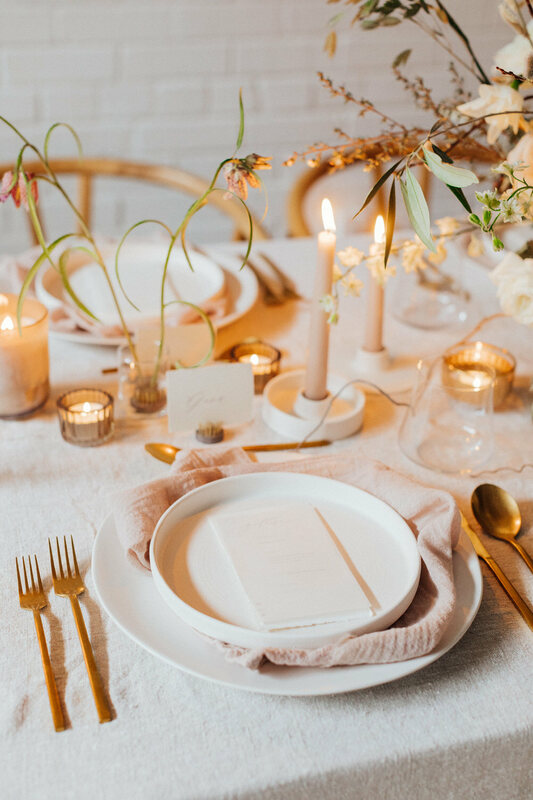 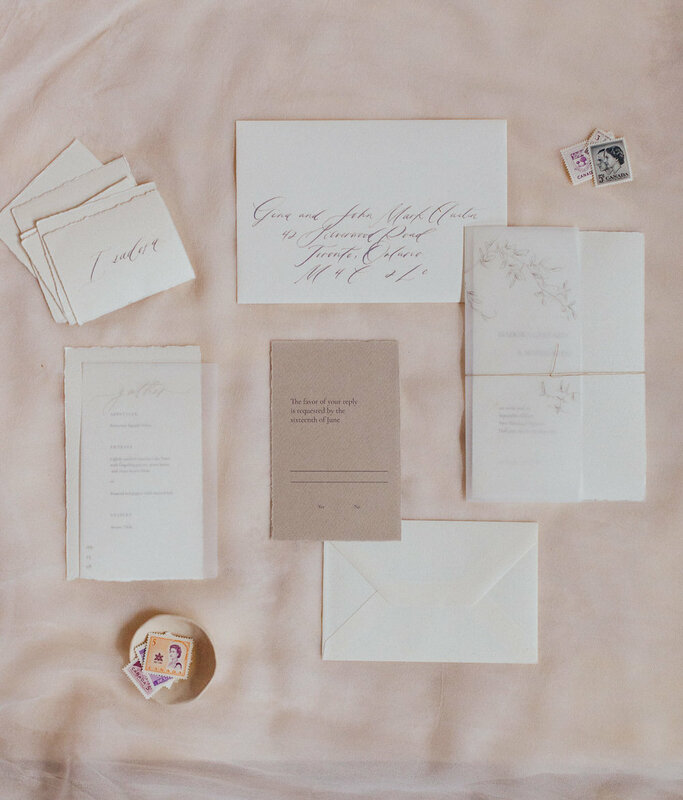 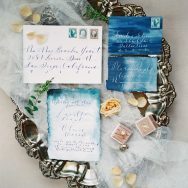 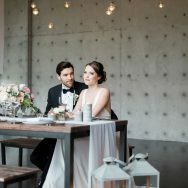 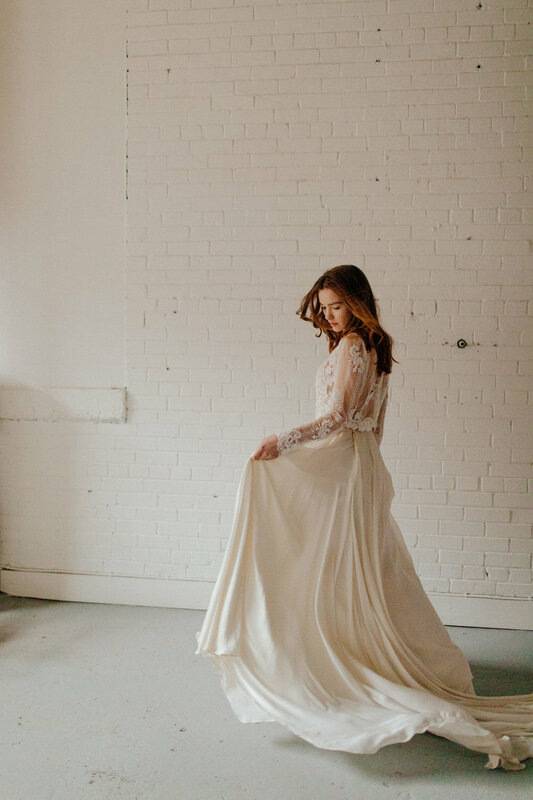 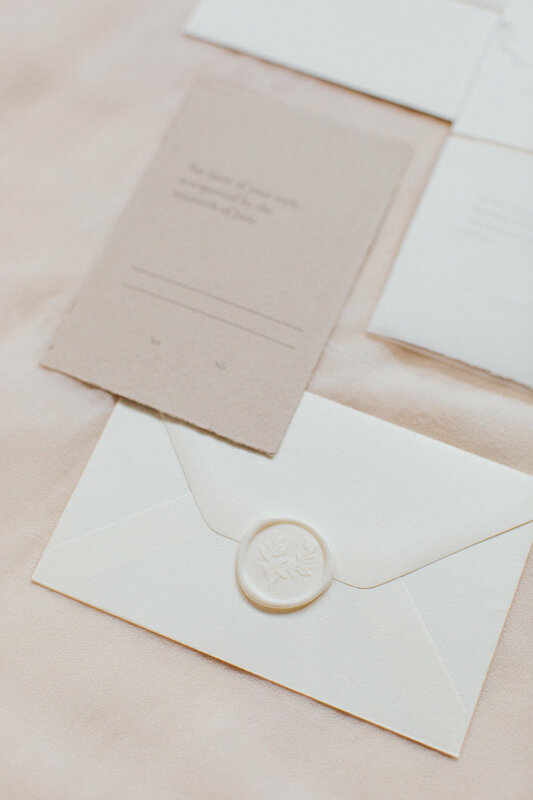 While warm candlelight and stationery on handmade cotton paper by Paula Lee Calligraphy provided the finishing touches and Christine Lim was behind the lens capturing all the details in these lovely film images.